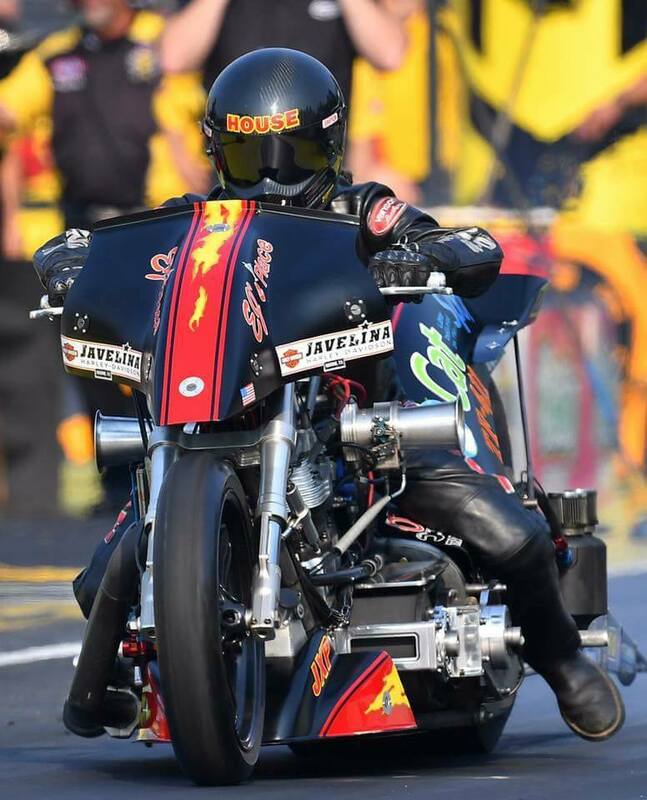 Ricky House and the CatSpot Organic Cat Litter Top Fuel Harley team take the battle for the class championship to Bristol Dragway this weekend for the Fitzgerald USA NHRA Thunder Valley Nationals. 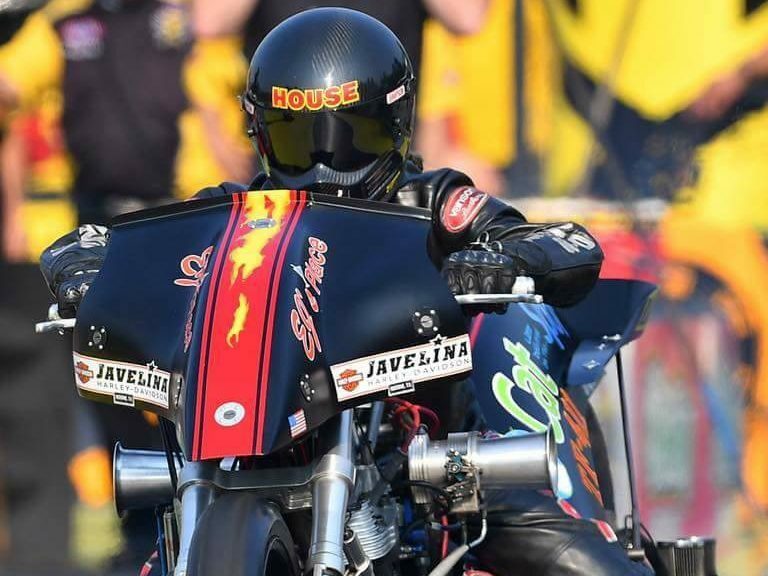 House currently sits fourth on the Mickey Thompson Top Fuel Harley Series standings, but he’s only one point behind third-place Jay Turner and only 53 out of the lead. House, the winner of the Las Vegas race earlier this season, has a simple goal for Bristol: Win the race. House took the points lead with his Vegas win, slipped back to second a race later and then fell to fourth after a tough outing in Topeka. There, he qualified No. 3 but put a cylinder out in the first round of eliminations. 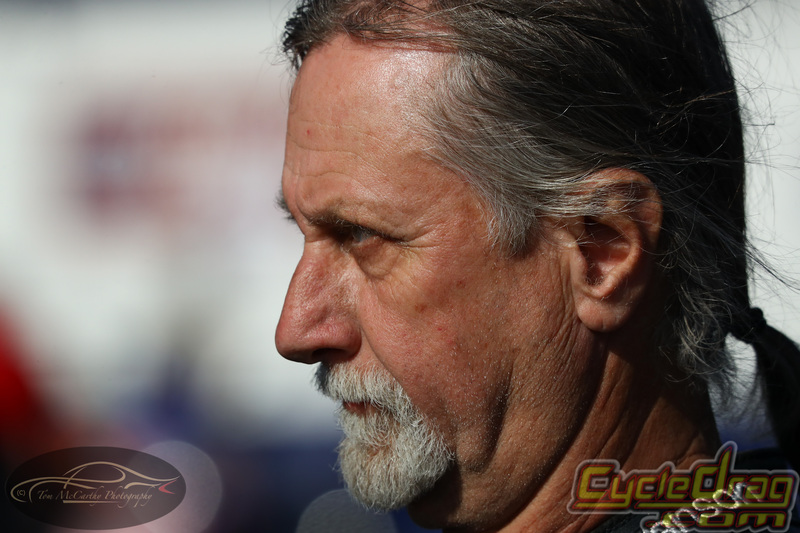 Qualifying in Bristol is a big first step, as 20 Top Fuel Harleys will be fighting for just eight qualifying spots. House has had some success at Bristol, winning in a carbureted Nitro motorcycle in Thunder Valley back in 2009. The native of Humble, Texas, was in Tennessee early this week, competing in the track’s Celebrity Shooting Tournament benefitting Bristol’s Speedway Children’s Charities chapter. Top Fuel Harley qualifying begins Friday with two sessions, at 3:15 p.m. and 6 p.m. Eastern. Two more sessions are slated for Saturday at noon and 2:30, with final eliminations slated for 1:55 p.m. Sunday.